Check This OUT: Syclone Swapped! CUSTOM BOOSTED 1991 CHEVY 1500! That's Right This Black Beauty Is Turbocharged! We Have What We Think To Be A 1 Of 1 Custom Truck. This Show Stopper Is Powered By The Infamous And Very Rare 4.3L Turbo V6 Engine Out Of A 1991 GMC Syclone. 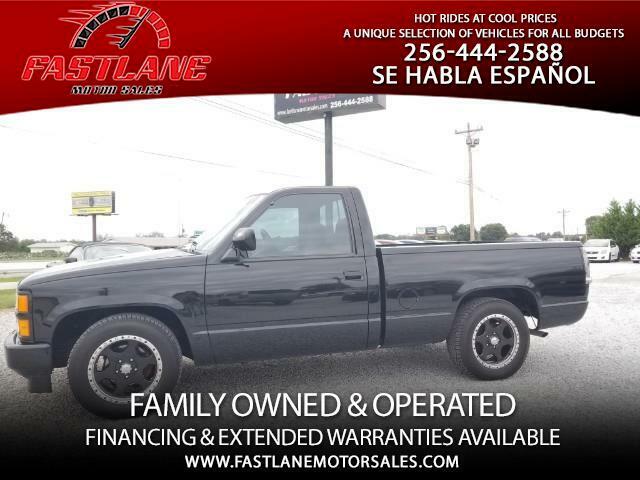 In Typical Fast Lane Style This Truck Is Far From Stock! T3/T4 50 Trim Turbo Fed By Custom Large Diameter Tubing Turbo Manifolds That Have Been Ceramic Coated! Precision Turbo 38mm V-Band Waste Gate Connected To A AEM Truboost Guage/Controller For Fast & Easy Control Of Boost Levels. AEM Wideband Gauge Setup Also To Make Sure Everything Is Running 100. Garret Water To Air Intercooler With Electric Pump & Large Performance Heat Exchanger Mounted In The Grill! HKS Bypass Valve (Makes loud choo choo noises)! Twin Electric Fans Installed To Keep This Looking Clean And Running Cool! The Transmission Has Been Upgraded To Handle "ALL THE BOOST" And Has A Shift Kit Installed. 17" Ultra Motor Sport Wheels With New General Performance Tires! Now On To The Stunning Body!!!! Mirror Black Paint Job Recently Done! Tail Gate Handle Shaved! Roll Pan Installed! This Truck Is On Fire!!!! And It Doesn't Stop There! Custom Interior! ALL BLACKED OUT! New Carpet, Head Liner, Sun Visors & More! This Is As Close To A New 1991 As You Can Ask For Inside! Aforementioned Gauges Installed On The Glove box Door For A Really Clean Look! Custom Upholstered Seats To Finish It Off! This Custom And Very Unique Truck Can Be Yours For Just $11,950. More Pics To Come! Thanks For Viewing And Please Please Share This Post!!!! Message: Thought you might be interested in this 1991 Chevrolet C/K 1500.